We share our planet with well over 75,000 different chemicals and at least 5,000 of these identified harmful chemicals are used in the cosmetic industry alone. Why is this so important? Our skin absorbs up to 60% of what it comes in contact with, allowing harmful chemicals to more freely move past the outside layer of the skin. These chemicals can then circulate throughout our bodies damaging our skin and putting us at risk for developing serious health concerns. The Dirty 30 list is just the tip of the iceberg; these are the most toxic of the chemicals presently being used in the skin care and cosmetics industry. If overall good health, skin rejuvenation and corrective balance are your goals then let our Dirty 30 list of skin care and cosmetic product ingredients be your guide. Artificial (Synthetic) Colors: Labeled FD&C (Food, Drug or Cosmetics) or D&C (Drugs or Cosmetics), this designation is followed by a color and then a number (FD&C Red No. 6, D&C Green No. 6, or FD&C Blue No. 1). Artificial colors are made from coal tar, a derivative of coal. Some research indicates that coal tar colors cause cancer. Artificial colors can also contain heavymetal impurities, such as arsenic and lead, which are known cancer-causing agents. Isopropyl Alcohol: Derived from petroleum, this is used in antifreeze, shellac, and body care products. Side effects include headache, dizziness, depression, nausea, vomiting, and coma. Isopropyl alcohol also strips your skin’s protective natural proteins and oils causing lasting, harmful effects on your skin and throughout your entire body. Parabens (Methyl-, Propyl-, Butyl-, and Ethyl-): These are universally used preservatives that can add shelf life to a product. Many scientific studies have confirmed that parabens have the potential to cause cancer because of their estrogenic activity. Foreign estrogens can accumulate in the body and have been linked to cancers of the breast, ovaries, uterus, and prostate. Because the liver has to work overtime to process these foreign estrogens, parabens may contribute to other illnesses as well. Phthalates: These chemical compounds are predominantly used as plasticizers (substances added to plastics to increase their flexibility). Phthalates are also used in nail polish, hair spray, and perfumes. Phthalates have been shown to build up in fatty tissue and negatively influence endocrine function. Sodium Lauryl (Laureth) Sulfate: This widely used detergent foaming agent is used in industrial engine degreasers, garage-floor cleaners, water softeners, and auto-cleaning products. Many skin and hair care products also contain this ingredient. It is often disguised in so-called “natural” products by putting the term “coconut derivative” in parenthesis. Derivatives are extracted using harmful petroleum solvents. According to the Journal of The American College of Toxicology, sodium lauryl sulfate corrodes and damages the hair follicles and can actually cause your hair to fall out! The American Academy of Dermatology reports that sodium lauryl sulfate molecules can stay on your skin long after you think you’ve washed them off. As they linger, these toxic compounds literally strip fatty acids, moisture, and amino acids from your hair and skin. Ureas (Imidazolidinyl, Diazolidinyl, DMDM): Ureas are the second most commonly used category of cosmetic preservatives. Ureas release formaldehyde. According to the Mayo Clinic, formaldehyde can irritate the respiratory system, cause skin inflammation, and trigger heart palpitations. Exposure to formaldehydereleasing products may also cause allergies, congestion, nausea, headaches, dizziness, ear infections, chronic fatigue, depression, asthma, chest pains, and insomnia. But more seriously, formaldehyde is toxic to the immune system. It has also been shown to mutate human cellular DNA and contribute to cancer. The sad fact is that these ingredients are cheap, readily available, and widely used (even in so-called “natural” products). But the truth is their natural alternatives are not only safer, they are often more effective. For example, several clinical studies have clearly confirmed that natural Vitamin E (d-alpha tocopherol) is more effective than synthetic Vitamin E (dl-alpha tocopherol). That’s because the body only recognizes the natural form; it views the synthetic form as foreign. The same is true for the dirty ingredients featured in our list. 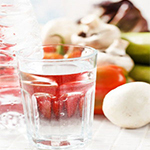 These are foreign substances to the body and cannot be easily metabolized. The body then accumulates these toxic substances and health problems can occur. Though used as treatments, these toxic ingredients may be the exact cause of your skin irritation, inflammation, or dryness. However, the fact that they can contribute to cancer and other serious illnesses should be more than enough reason to avoid them.